Two days ago, I skipped my usual stretching routine in favor of a more physically engaging warm-up. 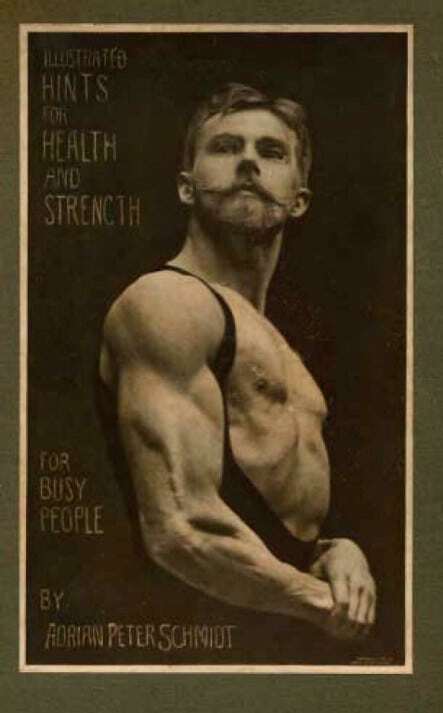 I bookmarked An Oldtime Strongman’s 15-Minute Morning Routine over at Art of Manliness back when it was posted in May, and decided to finally give it a shot. Since they are indeed “odd” exercises that don’t feel particularly strenuous compared to other workouts, I gave myself the liberty to do more repetitions/time with each exercise than recommended in the article. It was Plate V, exercises “for strong ankles” that really did me in. When I went out on my 6.5 mile run, my legs started sending fatigue pains as soon as I was only 2 residential blocks out on the route. Yesterday, my calves felt sore and tender. I ended my night with a hot shower and a generous application of Bengay. Today, I woke up expecting them to feel better, only to find them deep in that agonizing “second-day-soreness”. Even in a resting position, my legs feel like they’re locked in a state of full extension. Actually standing up and moving around so uncomfortable that I couldn’t even bring myself to head down the steps to get to the car and head into the office today. With all the running I do regularly, I never would expected my calves (specifically, my soleus muscles) to end up as sore as they are from that routine. Yet, I’m now facing the literally painful reality that although I’ve trained my body well enough to run long distances, in all other activities/motions my body is laughably weak. It’s something I’ve acknowledged to myself in the past, and a large reason why I’ve been so cardio-focused and not actively training in muscle-building exercise. Now that I’ve started, I’ve got no choice but to keep going. I’m going to need to learn to become familiar with this burning sensation and still function in spite of it, because I’m going to be feeling it everywhere over the course of the coming weeks.